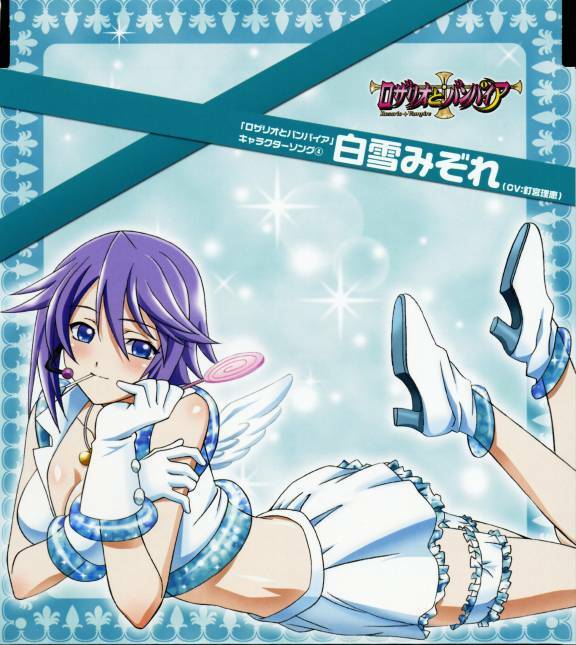 This webpage is all about the anime Rosario + Vampire. 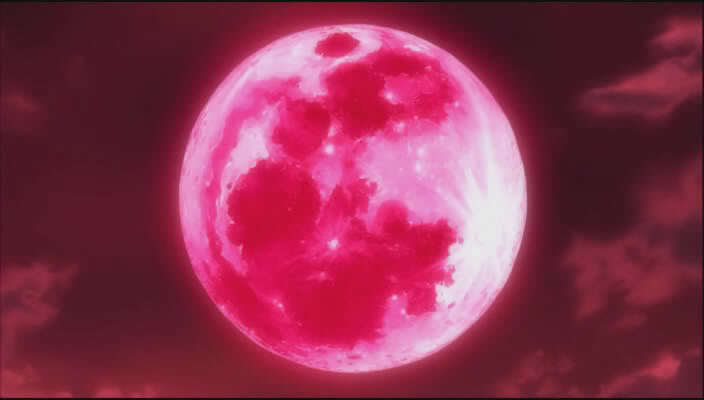 The show is about a boy named Tsukune Aono. He was transfered to a new school called Yokai Academy when he ran into a beautiful young girl wearing a rosary named Moka Akashiya. She immediatly was attracted to him and revealed she was a vampire. Later on in the day he realized he was attending an all monster school. 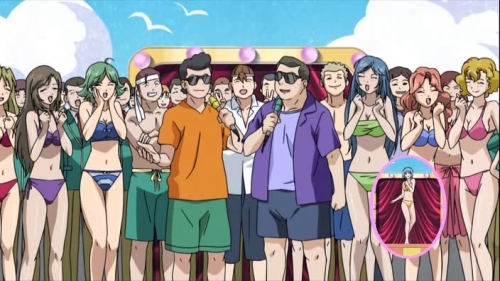 The catch is...Tsukune is a human! 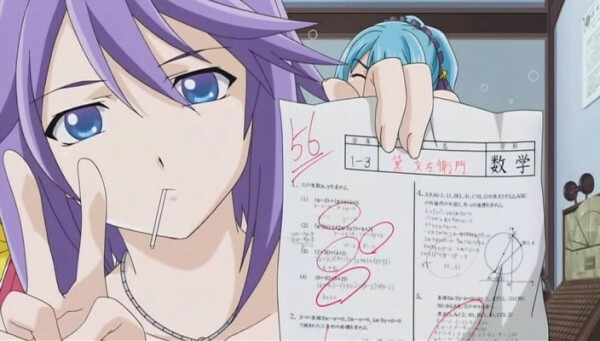 Then the girl, Moka was revealed to be in his class. As the day progressed she revealed that the secret behind her vampirism was that once her rosary is removed was that she would become a terrifying true vampire. 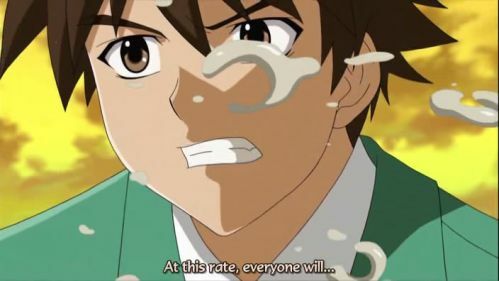 But things go downhill when Tsukune decides he wants to transfer back to a human school. 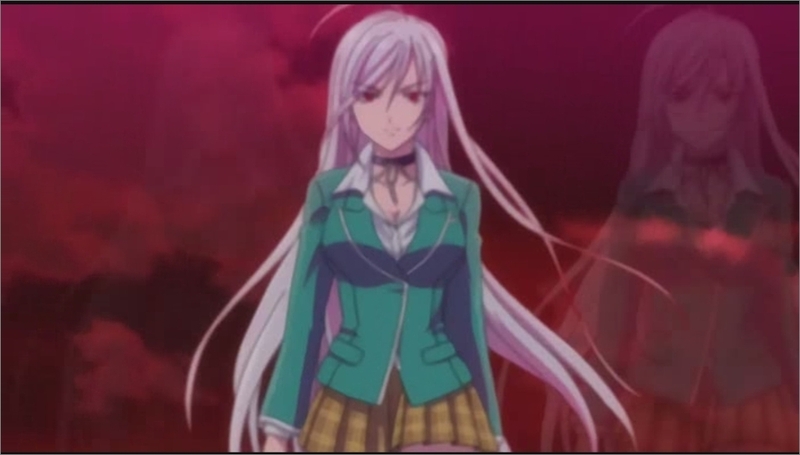 Moka reveals that she hates humans and Tsukune lashes out and says he hates vampires. 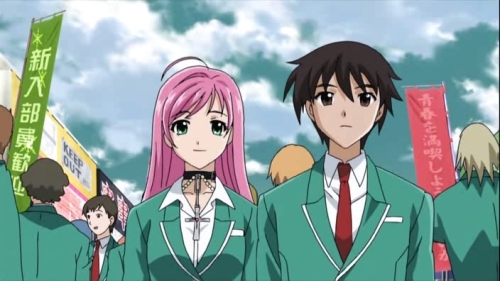 As Tsukune makes a break for the bus stop he hears a scream from Moka. He runs to find her and sees she is in serious danger. He puts his life on the line to save her. 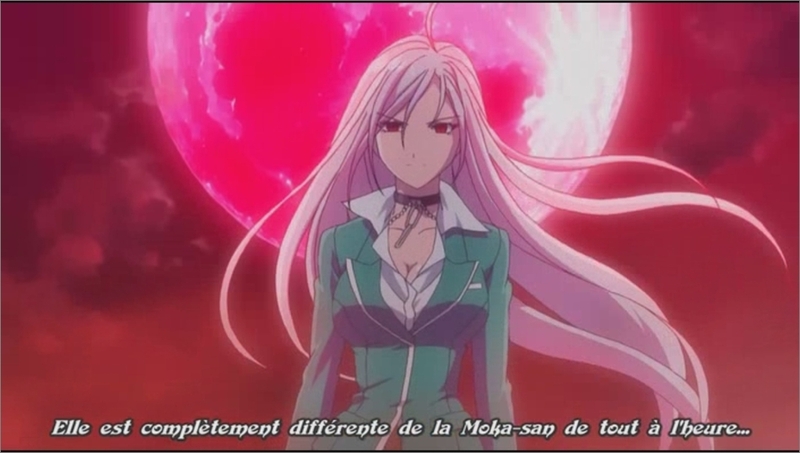 Then he accidently removes her rosary and reveals Moka's vampire self! 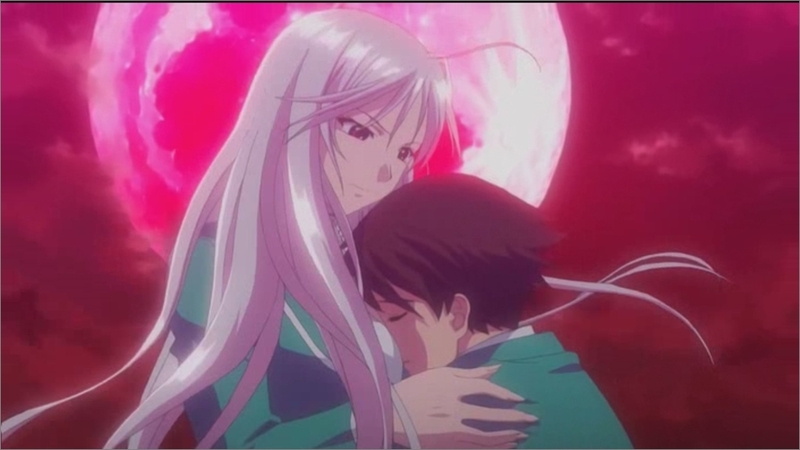 She saves Tsukune and the next day Tsukune decides to stay at Yokai Academy. 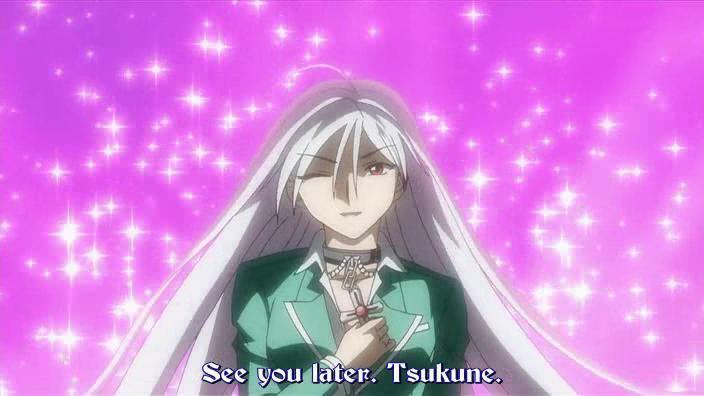 This makes Moka extremely happy for she LIKES Tsukune, I hope he choses her in the end of the series. 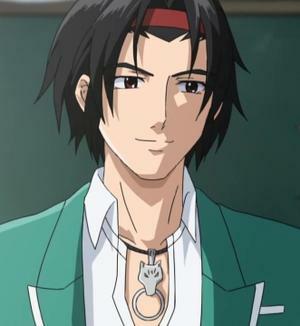 Tsukune Aono-A human in an all monster school. He has gotten many friends in Yokai Academy. Most are girls. He gets put into hard situations with his friends. The girls in his friends all LIKE him and he doesn't know who to choose. 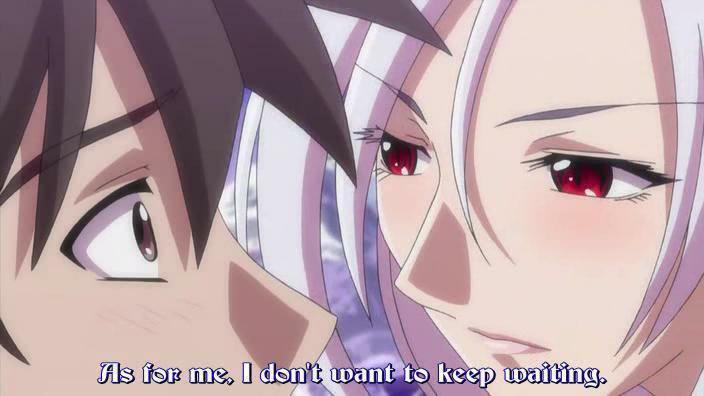 God I hope he chooses Moka she is sooooooooooooooooooooo Cute!!! 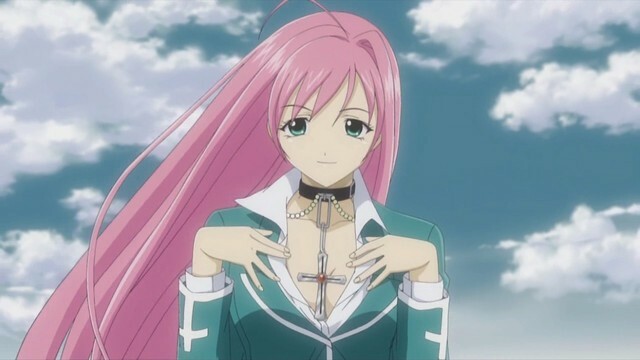 Moka Akashiya(Rosario Form)- One of Tsukune's friends. She is cute, funny, and sweet. She is a vampire. 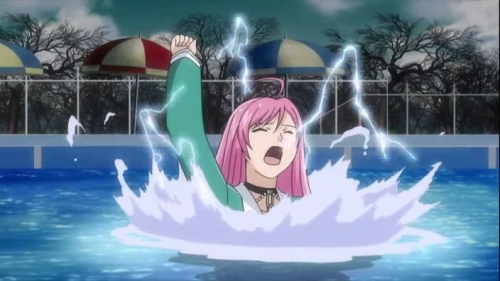 She really LIKES Tsukune and wishes they could take their friendship to the next level. She wears a rosary to hide her vampire self. 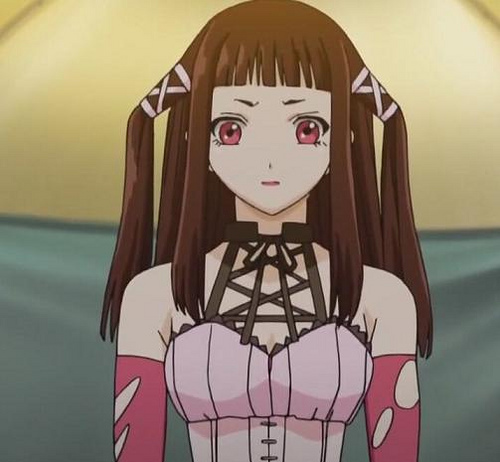 I hope her and Tsukune end up together. 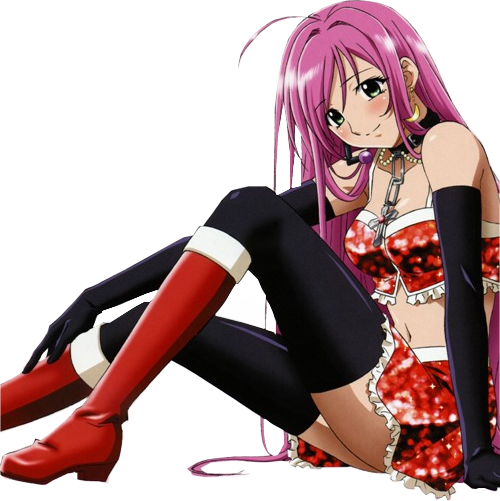 Moka Akashiya(Vampire Form)-One of Tsukune's friends. She is hot, scary(In a good way), and cool. She is a vampire. 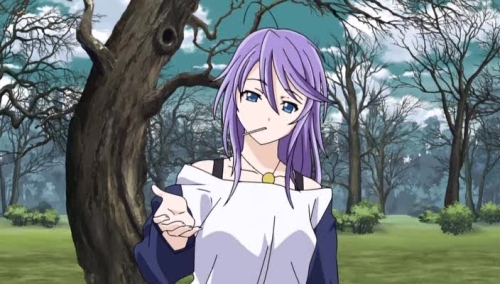 In this form she still LIKES Tsukune,but she is somewhat shallant about it. 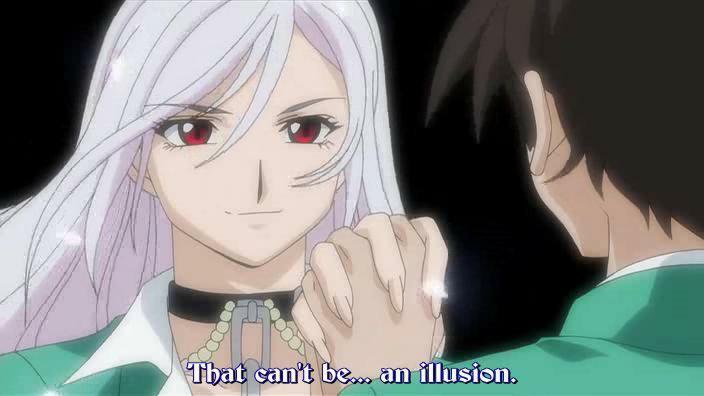 This puts Tsukune in a difficult situation than before. 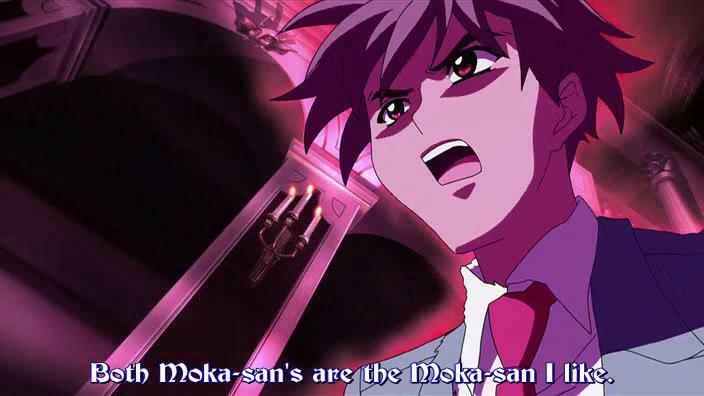 For if Tsukune chooses Moka, I'm worried on which Moka he'll choose. Kurumu Kuruno- One of Tsukune's friends. She is a succubus. She LIKES Tsukune and thinks he is her destined one. 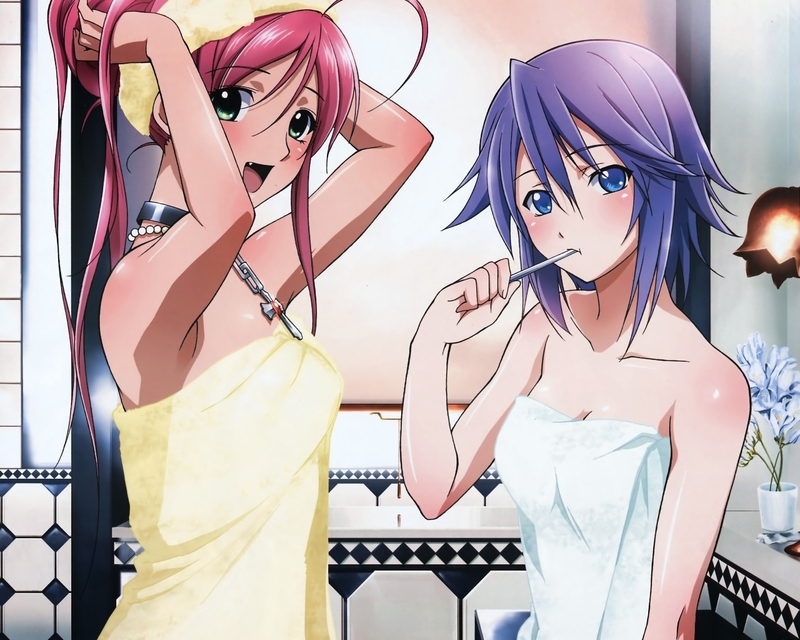 She is a major rival with Moka for his affection because Kurumu is very stubborn. 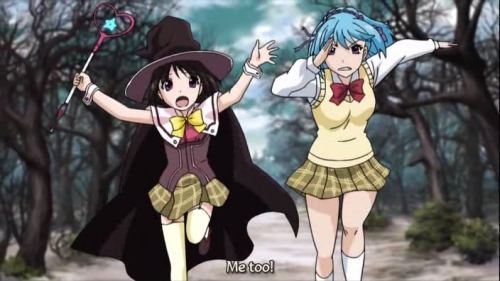 I reeeeeeeeeeeeeeeeeeeeeeeaaaaaaaaaaaaaaaaaaaaaly hope Tsukune doesn't choose her, I don't Like Kurumu!!! 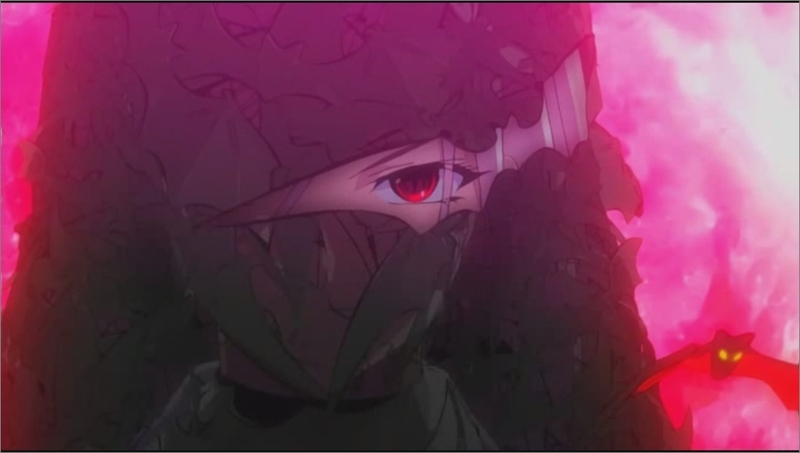 Yukari Sendo-One of Tsukune's friends. She is a witch. and also a little girl. 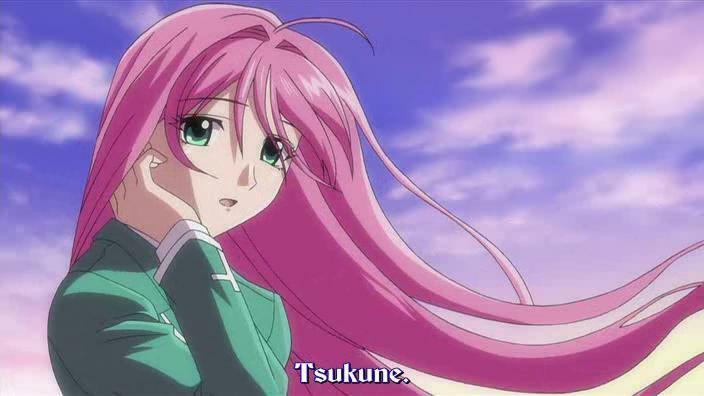 she likes both Tsukune and Moka. She hopes to one day share Tsukune with Moka. Poor deluded kid. 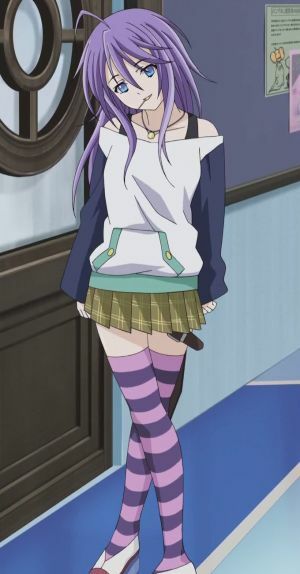 Mizore Shirayuki-One of Tsukune's Friends. She is a frost woman. She LIKES Tsukune. 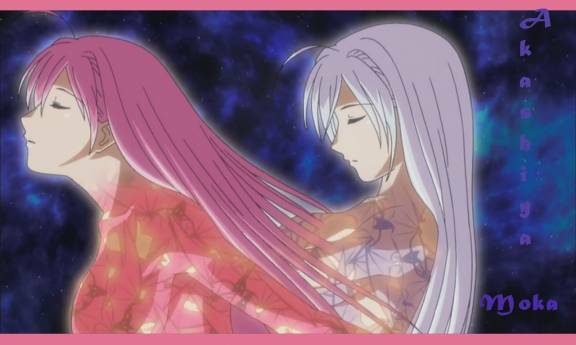 She wants to marry Tsukune and make offspring with him. Keep in mind THEY ARE IN A HIGH SCHOOL!!! 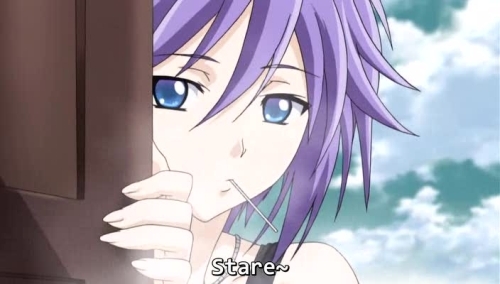 I like Mizore...But she...can be creepy. She is also a stalker(she gets it from her mom). Ruby Dojo-A girl who is one of Tsukune's friends and SPOILER ALERT works at Yokai Academy. She is a witch. 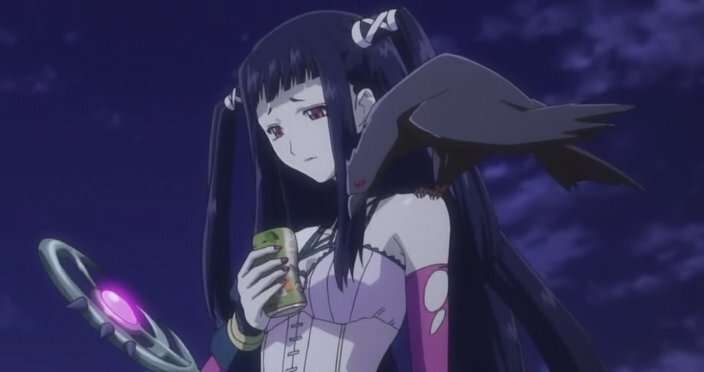 She either likes Tsukune or Gin(But I think she should be with Gin). 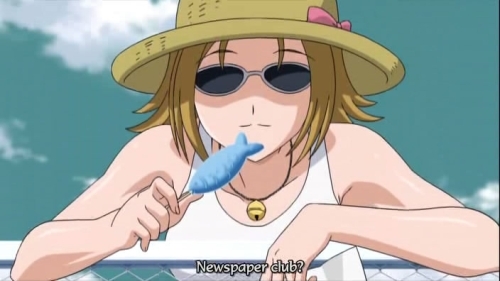 Kokoa Shuzen- SPOILER ALERT She is a vampire. 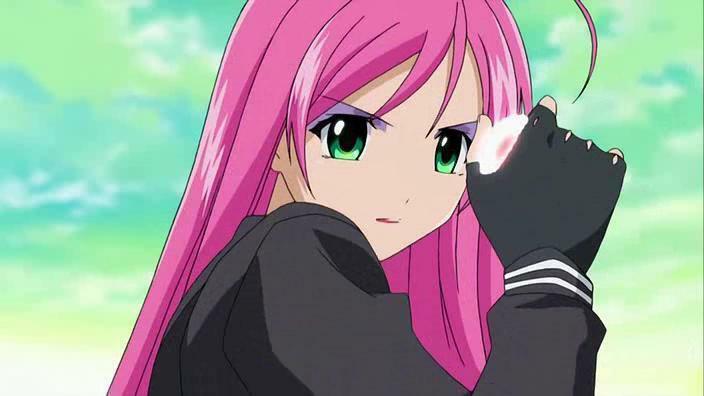 She is Moka Akashiya's sister. She tries to get Moka's Vampire self out anytime she can. She adores her vampire self and is not that fond of her rosary form. She is followed by a bat named Ko. Ko-A bat/narrator. Ko is an associate of Kokoa. he can talk and turn into a weapon of Kokoa's choosing. He helps Kokoa try to achieve a goal.